Astragalus Benefits: Investigations in China indicate that Astragalus is diuretic and that it lowers blood pressure and increases endurance. Recent American research focused on the ability of Astragalus to restore normal immune function in cancer patients. Clinical evidence suggests that as which a number of other herbs, cancer patients undergoing chemotherapy or radiotherapy recover faster and live longer if given Astragalus concurrently. Soothing and healing for stomach ulcers. It is a Tonic and Endurance remedy – this herb is a classic energy tonic, that is considered by some herbalists to be superior to Ginseng, particularly for young people. In China, it is believed to warm and tone the protective energy that circulates just beneath the skin and helping the body to adapt to external influences, especially the cold. Astragalus raises immune resistance and manifestly improves physical endurance. Its ability to Control Fluids – though a vasodilator (encourages blood flow to the surface), Astragalus is used for excessive sweating including night sweats. It is also helpful in both relieving fluid retention and reducing thirstiness. It is invaluable in assisting with incontinence in the elderly. It encourages the system to function normally. Excellent as an Immune Stimulant however, not a herb for acute illness. Astragalus is nonetheless a very useful medicine for viral infections such as the common cold. 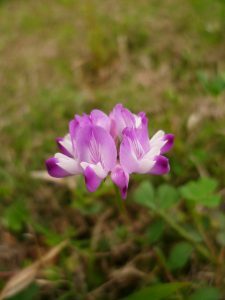 Astragalus also treats prolapsed organs, especially the uterus and is beneficial for uterine bleeding. It is often combined with Dong Quai as a blood tonic to treat anaemia. There is also evidence for cardiovascular system improvement, particularly in clinical parameters associated with angina, congestive heart failure and acute myocardial infarct. This may be due to the herb’s antioxidant activity. Its use in the treatment of hepatitis in modern Chinese medicine is supported by the demonstration of hepatoprotective activity in animal studies. Combinations: Often combined with Dong Quai for the treatment of anaemia. For cold and numbness it can be combined with Cinnamon.